With the No. 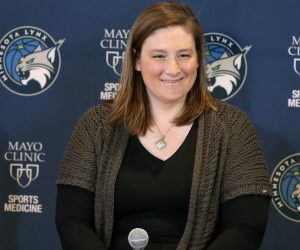 6 overall pick in the 2019 WNBA Draft, the Lynx selected Napheesa Collier out of the University of Connecticut. Collier is a dynamic 6’1’’ forward who can contribute immediately in several areas at the WNBA level. 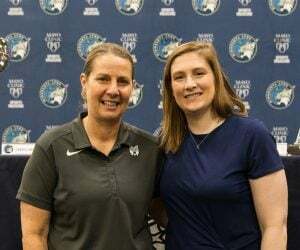 She played with coach Cheryl Reeve at USA basketball so Reeve knows her well and should be able to incorporate her quickly into the Lynx system. Collier averaged 20.8 points, 10.8 rebounds, 3.5 assists, 1.5 steals and 1.7 blocks in college. That’s a ton of production in many areas. She just knows how to play the game. Collier also rode her all-around production to membership in an elite club at UConn. She is one of five players to score 2,000+ points and collect 1,000+ rebounds over her college career. The others? 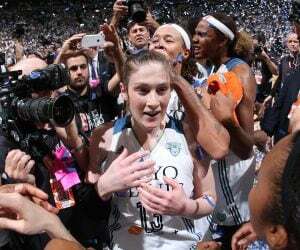 Maya Moore, Tina Charles, Breanna Stewart and Rebecca Lobo. 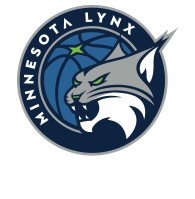 Collier practices and plays with an unmatched intensity and she’ll fit in right away with the Lynx’s culture. She’ll challenge everyone in practice and earn a valuable role on this team. It’s hard to put up the numbers that Collier did on a team with as many other stars as UConn had. Collier did it by putting together an extraordinarily efficient season. She shot 61.2 percent from the field and generated 1.14 points per play and 1.28 points per scoring opportunity last year in college. If there’s a knock on Collier’s game it’s her three-point shooting, where she only shot 28.3 percent. She’ll need to work on that, but with everything else she does and the efficient manner she gets the rest of her shots, Collier will certainly be able to stay on the floor while she irons out her outside shot. Collier takes great care of herself and keeps herself in a good position to play. That will be important as she transitions to the intense WNBA schedule. Collier started 112 consecutive games at UConn—fourth all-time in program history. That starts streak is also a testament to Collier’s competitiveness. She wasn’t about to let anyone take her spot. Collier has quite a few trophies for the case. She won a national championship with UConn in 2016, was first-team All-American in 2019 and 2017 and second-team All-American in 2018. She was also the ACC Player of the Year in both 2017 and 2019. 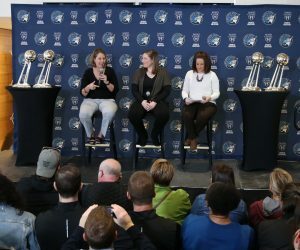 Coming to the Lynx she’ll look to add more hardware to the shelf. Rookie of the Year? WNBA Championships? Only time will tell but one thing is for sure—Collier is used to winning. Collier wasn’t always considered a defensive prospect but her hard work and natural ability has helped her become an extremely effective defender. She has the strength to defend bigs and the speed to stay on smaller players when she is switched. Collier averaged 1.5 steals and 1.7 blocks in college. She earned those stats—she’s not the tallest player but she’s incredibly smart and picks her spots well. It might take some time for her to get her defense up to the speed of the WNBA game but she has the tools to be a true impact defender.